Booch on the Beach is an interesting spin-off given to a rather simple and healthy drink like kombucha. Kombucha is a fermented and mildly sweetened, fizzy tea with a plethora of health benefits. While it is usually obtained by the fermentation of sweetened tea with a symbiotic association of acetic acid, bacteria, and specific yeast cultures, there are other fun ways to make the beverage as well. One of the most common recipes to make with kombucha is Booch on the Beach, which is both, a cocktail as well as a mocktail drink, depending on whether you prefer to mix alcohol to it. So, let’s get started with this delicious and refreshing recipe already! 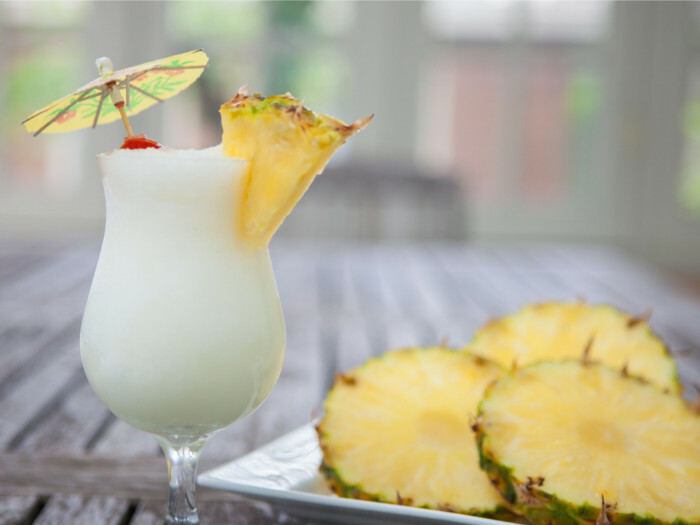 This drink will transport you to the tropics! To make Booch on the Beach, add pineapple juice, coconut milk, flavored Kombucha, rum (optional) and ice in a blender. Thereafter, blend it at high speed for approximately 30-45 seconds. Once done, pour contents of blender into a tall glass. Garnish the drink with a wedge of pineapple and one of those little umbrellas. Coconut milk adds a nice richness and creaminess to this drink. If you’d like a lighter version, you can substitute coconut water for the coconut milk. Although the blending removes most of the bubbles in the kombucha, you still will get all the health benefits that kombucha has!